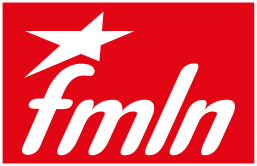 The positioning to become the FMLN's candidate for president in 2019 has begun. First to move was Gerson Martinez, the current Minister of Public Works. Martinez resigned from his position as minister which he has held since 2009, in order to be free to campaign. Martinez' action was quickly followed by statements from Vice President Oscar Ortiz and Foreign Minister Hugo Martinez each stating that they would not rule out being a candidate for president in 2019 on the ticket of the left wing party. Another person whose name has been mentioned from the FMLN is Medardo Gonzalez, the Secretary General of the party. Whoever is chosen by the FMLN will have to face one of several announced candidates from ARENA, and San Salvador mayor Nayib Bukele, who has chosen to run for president outside of either major political party.